The reach on the 840 allows the operator to position himself and work the pile while feeding the shredder. Mike Levell said he and his family business have been easing their way into the auto shredding business. 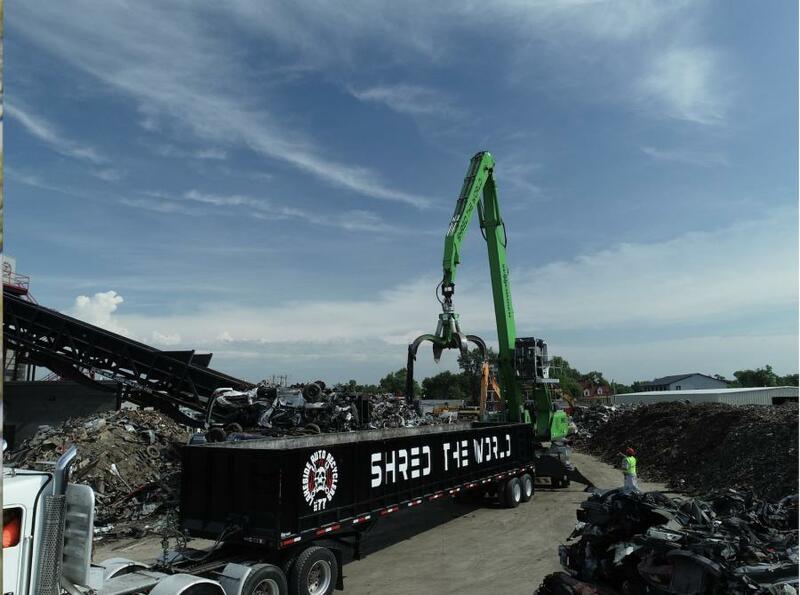 With their latest move up to a 4,000 hp, 6085 auto shredder, Lakeside Auto Recyclers has picked up the pace, and there's no time for time off. “It's a full-throttle lifestyle,” Levell said. With the new shredder, he found that his previous material handler couldn't keep up with the challenge. 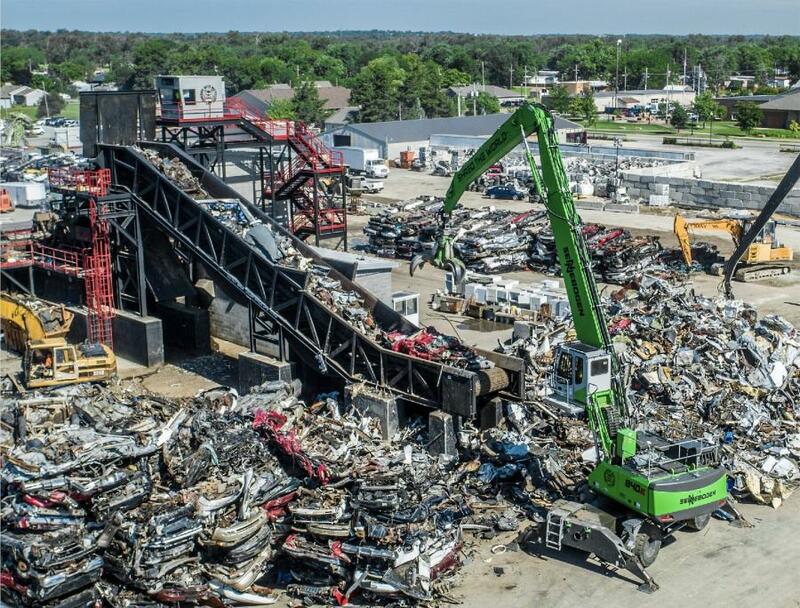 Levell had spent some time traveling to other recycling yards to see their shredder operations. What he saw convinced him that Lakeside needed a new Sennebogen machine to feed his 6085. “I got down to two possible material handler lines. I really gravitated to the way the Sennebogens are designed, and I learned that their service and support is really great,” he said. After the 6085 was commissioned, Lakeside took delivery of a new Sennebogen 840 M. This model is a rubber-tired 117,000 lb. (53,000 kg) purpose-built machine powered by a 305 hp (227 kW) Cummins engine. Levell had it fitted with Sennebogen's orange peel grapple. After almost a year in production, the 6085 is churning out shred as advertised and is running smoothly. The shredder sets the pace for every other aspect of the operation. Lakeside is now receiving trailer-loads of cars to process from up to 100 miles away and uses the old machine to move cars into the staging area by the shredder. A wheel loader hauls away the outbound shred and fluff. Along with managing the business at Lakeside, Levell is often at work in the cab of the new Sennebogen. 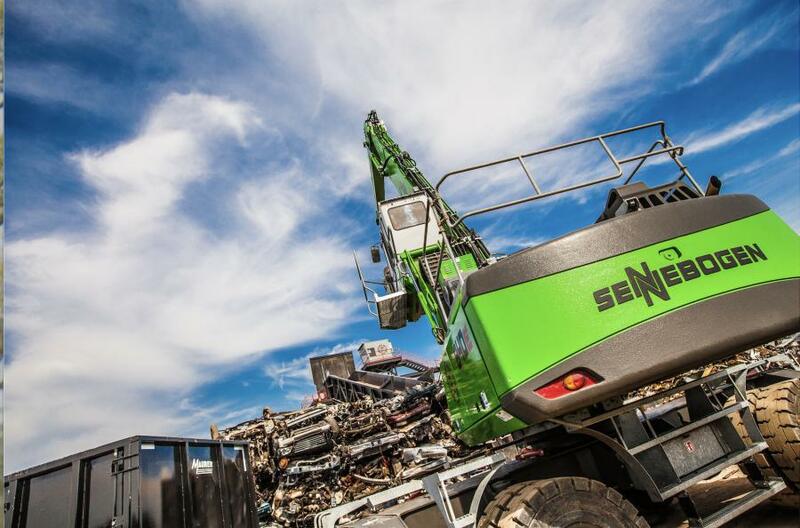 Levell credits Sennebogen's hydraulic design for much of its reliability. To date, the Sennebogen also has met Lakeside's expectation for dealer support.